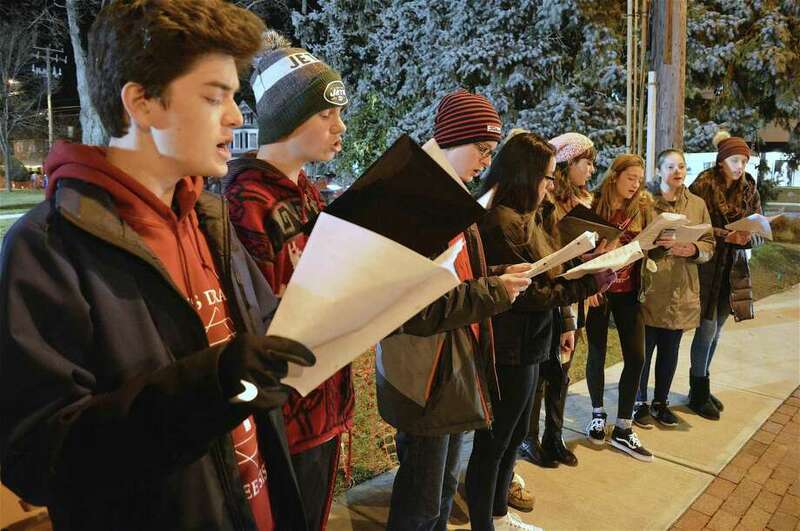 FAIRFIELD — Thursday evening’s sixth annual Shop and Stroll was not only a great opportunity for people to find some bargains during later store hours, but also a chance to enjoy a dose of holiday cheer along with one’s neighbors. Caroling song groups and musical combos from different schools performed in various places throughout downtown, while vendors shared hot cocoa, coffee and treats for the passers-by. “This is just a way to meet everyone and also support local businesses,” said Amber Smith, co-founder of Fairfield Moms, which helped sponsor the event along with the town and Chamber of Commerce. “We think that shopping local is really important for the Fairfield community,” she said, with her group also sponsoring happy hour get-togethers before and after the stroll hours.